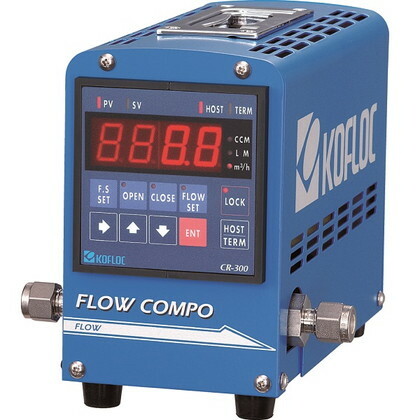 This is a compact handy flow control/measuring unit made by combining a compact DIN72 x72 power indicator [CR-400] and MFC/MFM. ・ The touch panel type permits easy FS scaling, flow setting, and valve opening/closing. ・ Free selection of joints ranging from one-touch type to Swage-lock. ・ The MFC-equipped type (FCC Series) can be used as MFM by pressing the OPEN switch. ・ Please contact us for the metal seal specifications for corrosive gas. For details of the specifications, refer to the mounting MFC/MFM and CR-400.